For a long time, physicists have tried to understand the relationship between a periodic pattern of conduction electrons called a charge density wave (CDW), and another quantum order, superconductivity, or zero electrical resistance, in the same material. Do they compete? Co-exist? Co-operate? Do they go their separate ways? 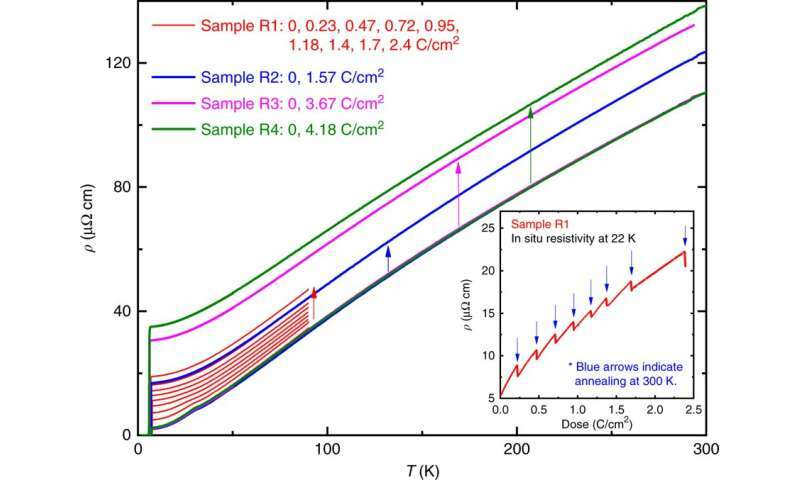 For the first time, physicists at Ames Laboratory and their international collaborators were able to explore that relationship in the superconducting and CDW material niobium diselenide (NbSe2), through experiments using swift electron bombardment. "What we are doing is 'poking' the system by introducing disorder into the crystal lattice," said Ames Laboratory scientist Ruslan Prozorov. "By knocking out some of the ions, impacting electrons create defects in the material. Both quantum ordered states (CDW and superconductivity) respond in certain ways to these additional defects, which we can measure." The research, which included resistivity measurements, London penetration depth studies, and X-ray diffraction, showed that the relationship between CDW and superconductivity is complicated—in some ways the two states compete with each other, and in others, CDW assists superconductivity. "Charge density wave competes with superconductivity for the same conduction electrons," said Prozorov. "As CDW is suppressed or disrupted, superconductivity is grabbing the electrons needed to form Cooper's pairs, which form superconducting condensate." But CDW also assists superconductivity through its coupling to crystal lattice vibrations, called phonons. And phonons act as a "glue" between electrons to form a Cooper pair. 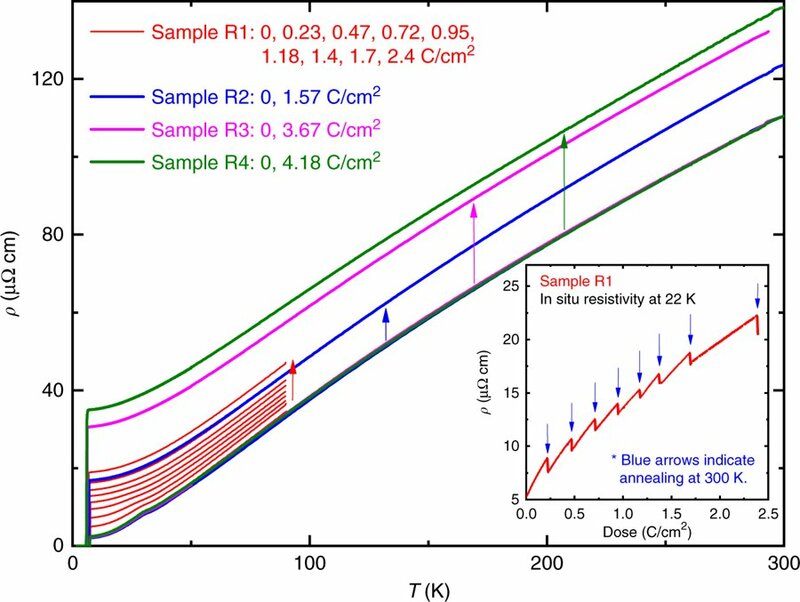 At some threshold level of disorder, long-range ordered CDW disappears abruptly, and superconducting transition temperature is abruptly reduced as well. "It is very important to understand the factors that influence superconductivity, in particular its critical temperature," said Prozorov. "Room temperature superconductors of future technologies will most likely be artificially assembled from individual atoms and single atomic layers fully utilizing basic mechanisms that lead to the enhancement of useful properties. Our research is a step in that direction." The research is further discussed in the paper, "Using controlled disorder to probe the interplay between charge order and superconductivity in NbSe2," authored by Kyuil Cho, M. Kończykowski, S. Teknowijoyo, M.A. Tanatar, J. Guss, P.B. Gartin, J. Wilde, A. Kreyssig, R. McQueeny, A. Goldman, V. Mishra, P.J. Hirschfeld and R. Prozorov; and published in the Nature Communications.